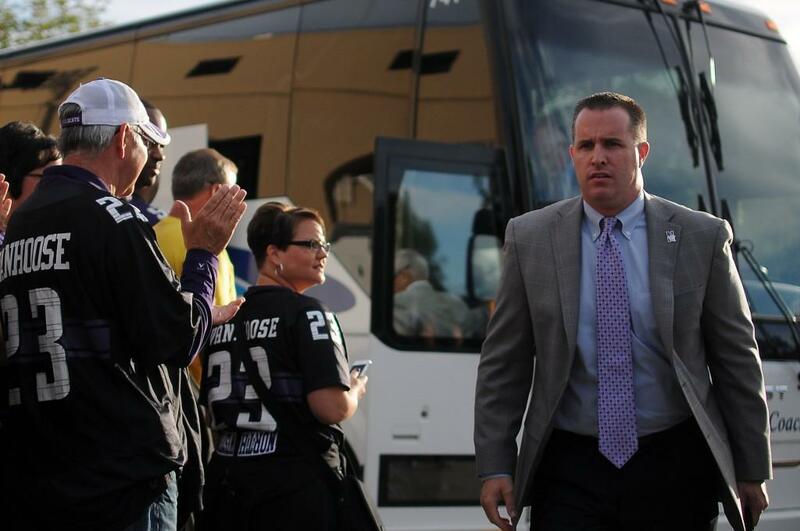 Northwestern coach Pat Fitzgerald walks off the team bus. Fitzgerald picked up his 53rd career win Saturday against Western Michigan. After a slow start Saturday night, Northwestern’s offense woke up in the second quarter and vaulted the Wildcats to a 38-17 win over Western Michigan at Ryan Field. The Cats’ first three drives started in Broncos’ territory — but NU was unable to put any points on the board. The first drive resulted in an interception by senior quarterback Kain Colter, and the third ended with senior kicker Jeff Budzien’s first missed field goal of the season. Coach Pat Fitzgerald said even though his team got the win, it was frustrating to watch the Cats’ offense struggle early on. “The way that we started, have the ball across the 50 for I think the first (three) drives and not come away with points, is unacceptable,” Fitzgerald said. Read The Daily’s full story on the game.